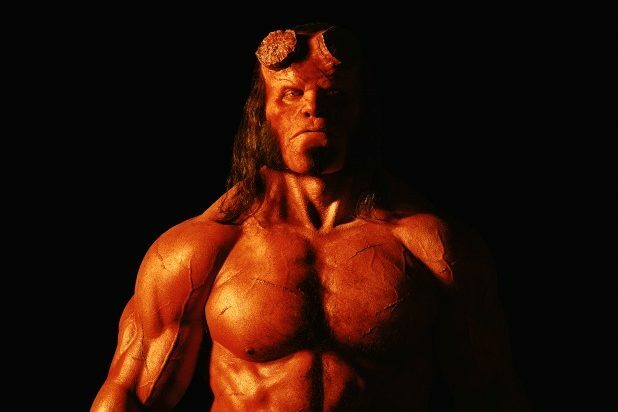 We still have a few months to go before the “Hellboy” reboot starring David Harbour hits theaters. But if you simply can’t wait, scroll down to check out a new photo from the upcoming film, courtesy of Empire Magazine. 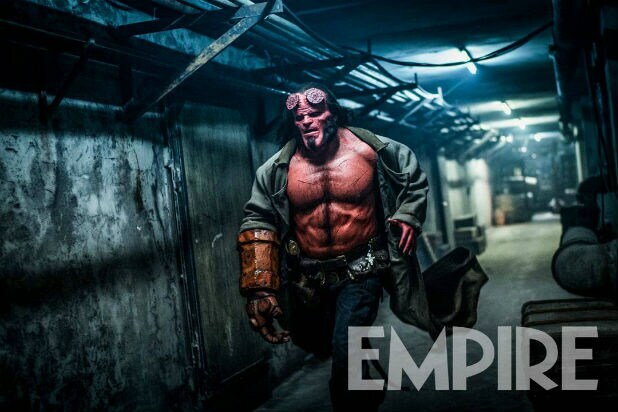 The pic, from Empire’s January 2019 issue, features Harbour-as-Hellboy running through a dimly lit hallway — and that’s it. It may not sound like much, but it looks cool, particularly the detail on Hellboy’s “Right Hand of Doom.” Also, the new Hellboy is ripped. That’s obviously not from “Hellboy.” But eagle-eyed nerds out there will recognize it as a still from “Devil’s Due,” a 1991 episode of “Star Trek: The Next Generation” in which the Enterprise crew faces a con artist posing as an interstellar version of Satan. Along with Harbour in the title role, “Hellboy” also stars Milla Jovovich, Ian McShane, Sasha Lane, and Daniel Dae Kim as were-jaguar Ben Daimio. Directed by Neil Marshall and written by Mike Mignola, Andrew Cosby, Christopher Golden and Aron Coleite and produced by Lawrence Gordon, Lloyd Levin and Mike Richardson, “Hellboy” hits theaters April 12, 2019.